It seems like the hardest challenge for Stockholm will be the pitching. Generally Swedish teams just play a doubleheader once a week, on Saturdays, so they only rely on two starting pitchers. The tournament is a three day round robin, folowed by semi-finals on Friday and the finals on Saturday. Since Stockholm is probably saving its regular starters for those final two days, others will have to handle the pitching chore until then. 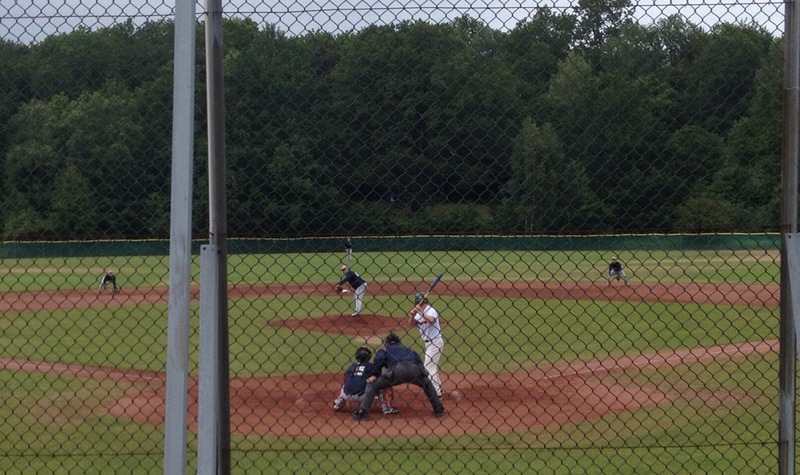 Tuesday’s starter Daniel Linder did the job admirably, giving up just three hits and no earned runs in his six and a third innings, while relievers Pontus Byström and Alex Keenen gave up just one hit between them.